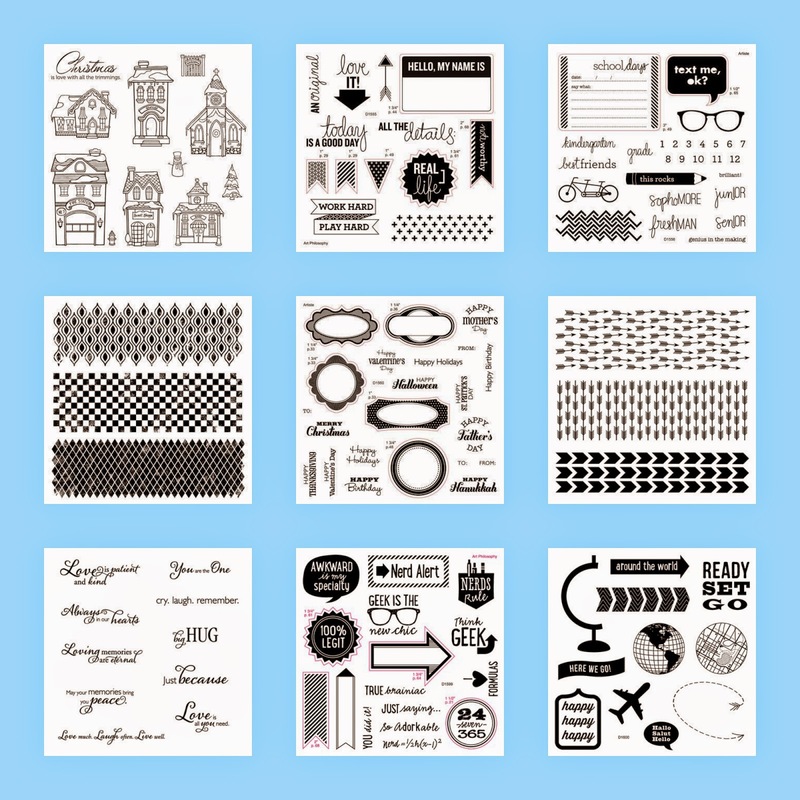 CardMonkey's Paper Jungle: "Deal of the Decade" Launches in Close To My Heart -- Shop with me to win prizes! "Deal of the Decade" Launches in Close To My Heart -- Shop with me to win prizes! 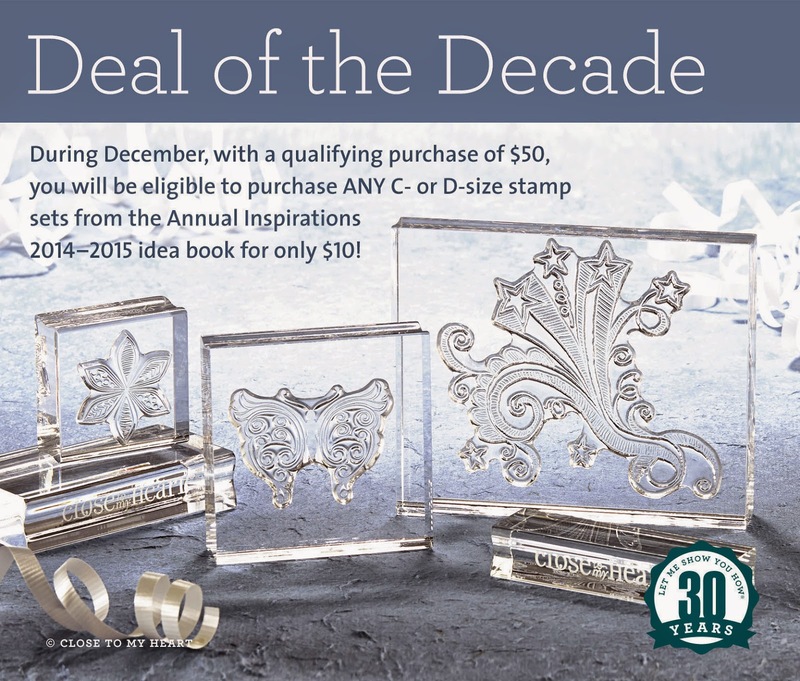 During the entire month of December 2014, if you have a qualifying purchase of just $50, you can purchase not ONLY the Stamp of the Month for just $5.00 ($17.95 retail value), but also you can buy any and every C- or D-sized stamp set in the 2014-15 Annual Inspirations catalog for just $10 each. Normally, these are $13.95 and $17.95, respectively -- so that is a 28% and a 44% savings, again, respectively. We've never seen such an amazing sale, and it's all the buzz. But WAIT, there's more!!! 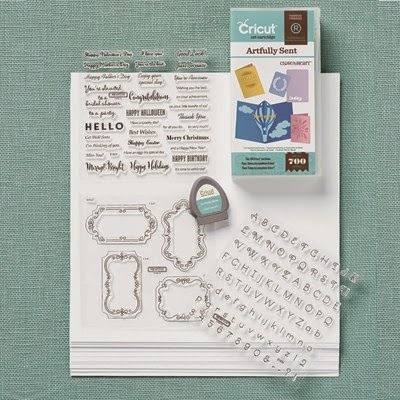 On Monday, December 1 ONLY (that's right -- Cyber Monday), you can purchase ANY of the CTMH/Cricut Collections at 20% off. 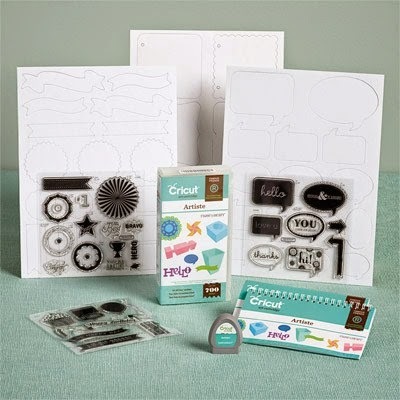 Buy one, or buy all four -- what a perfect Christmas present for the crafter in your family. The Cyber Deal runs from midnight until 11:59 p.m. (Mountain time -- CTMH is headquartered in Utah) on Monday, December 1. Hurry, hurry! 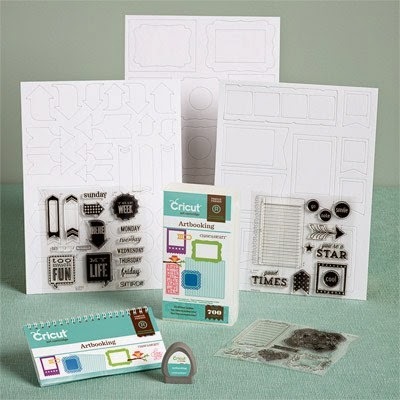 ...and YES, your purchase of just one Cricut cartridge qualifies you to take advantage of the stamp deal's "Deal of the Decade". 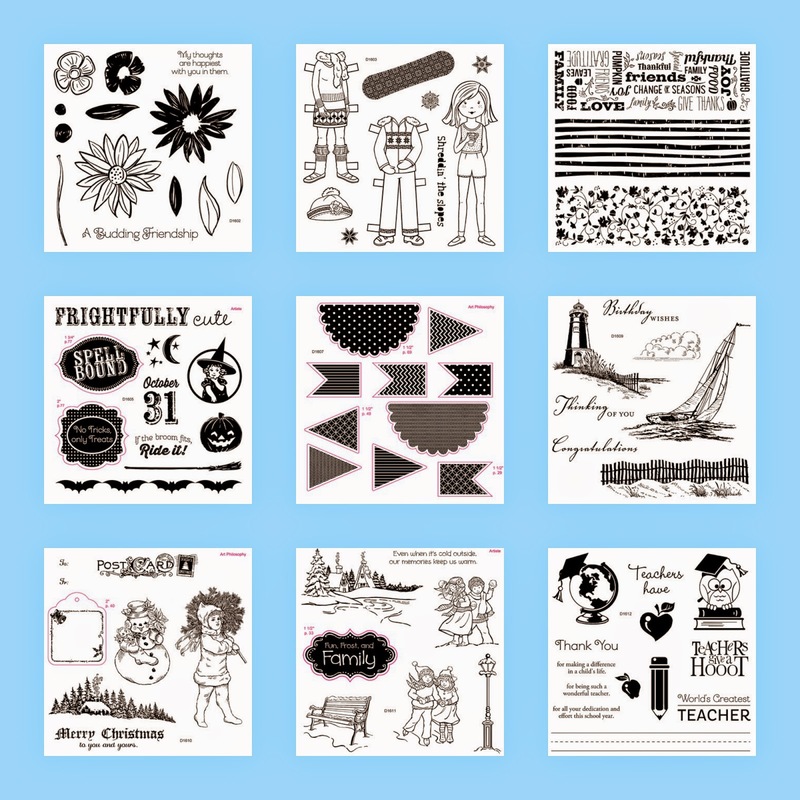 Okay, so I wanted to show you which stamp sets are C- and D-level in this year's CTMH Annual Inspiration catalog, so you can print this out and decide which ones should be on your must-have list. 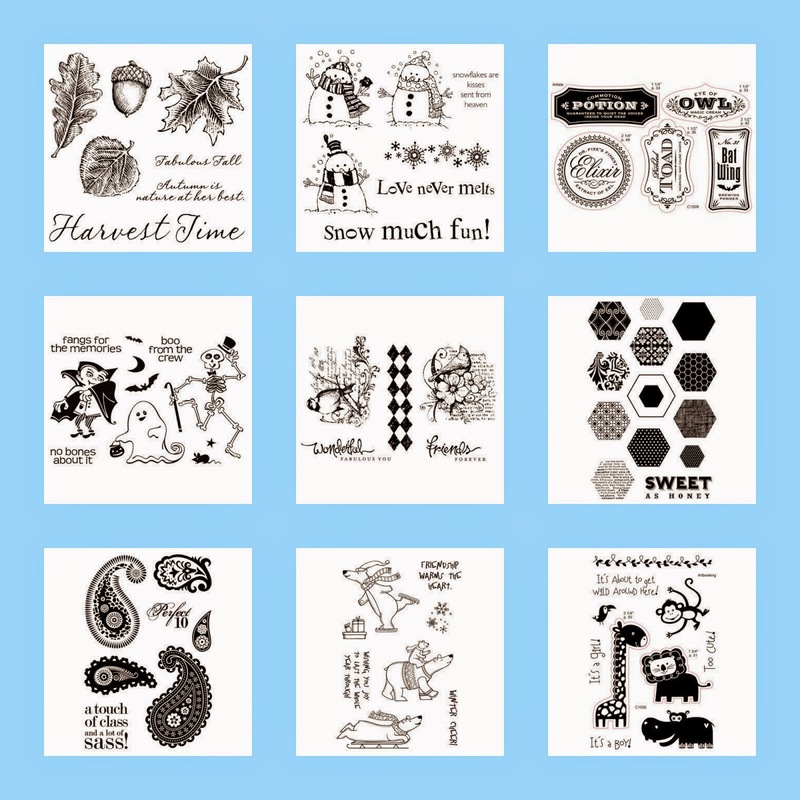 Below are pictures of the 68 qualifying stamp sets, and following I will place a list. 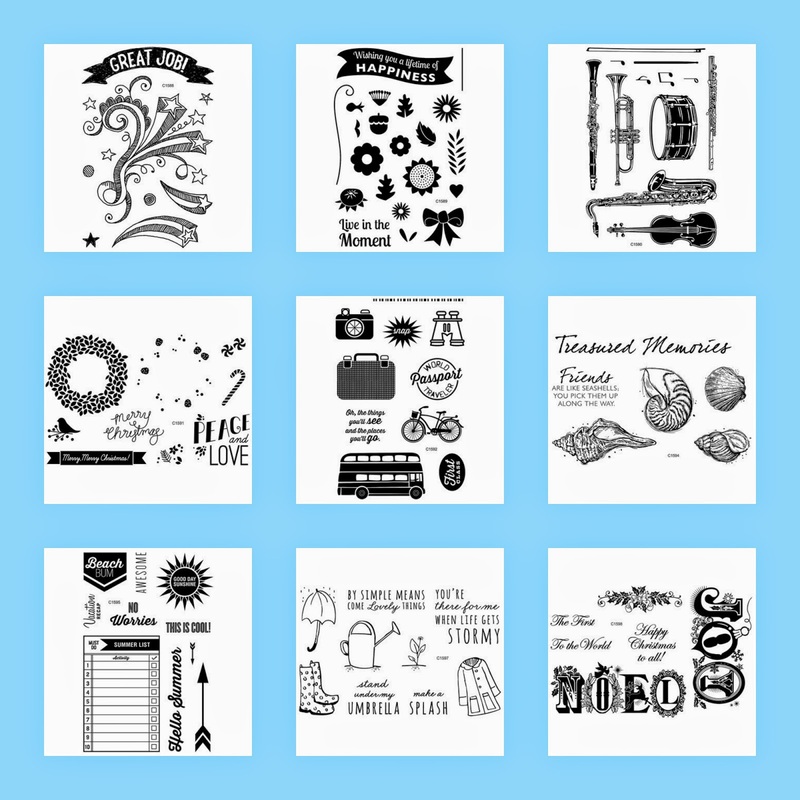 The stamp sets are shown in the order of the list (below), if you read left to right, and top to bottom. 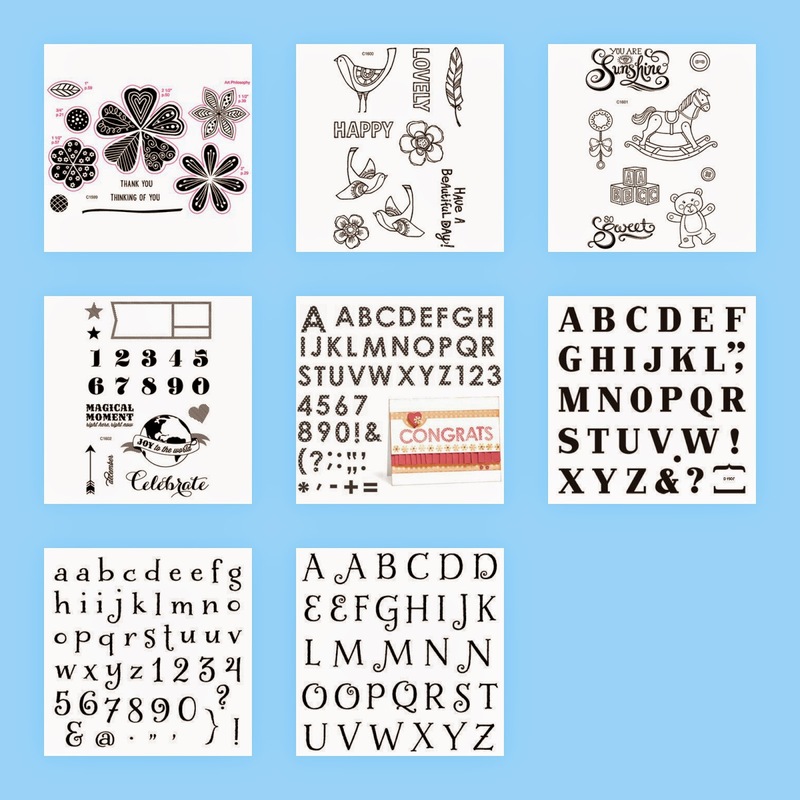 The list has the stamp set number, its name, and the page number on which you will find the stamp set in the catalog. 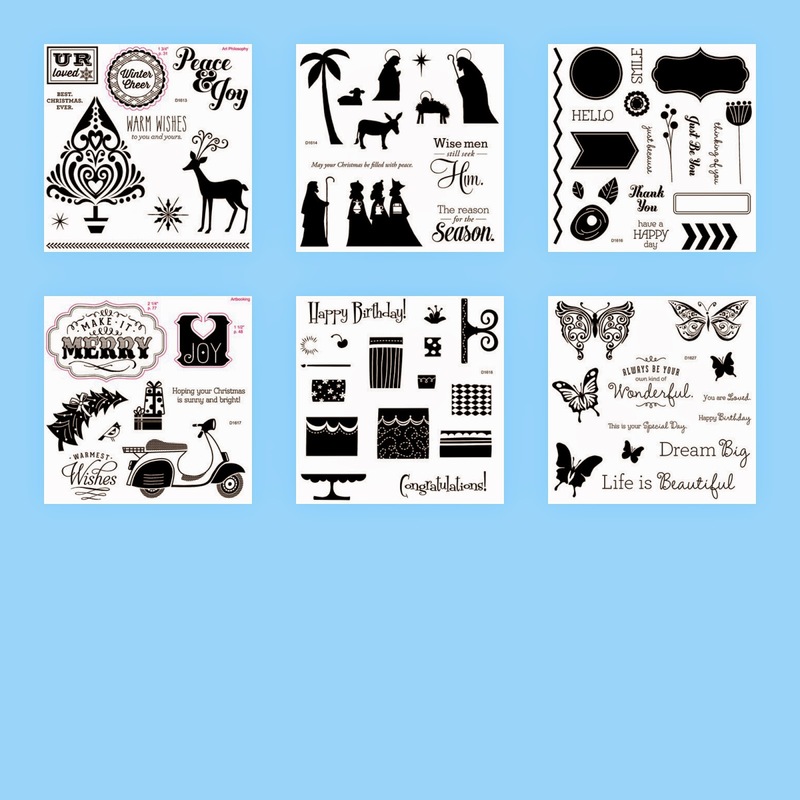 I would sincerely appreciate your shopping through my Close To My Heart Online Business Office. Once there, join the "Deal of the Decade" party by clicking that box. 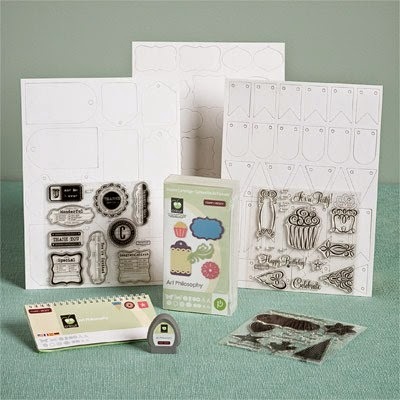 Those who JOIN this party and place a $50+ order and purchase even just one stamp set on the "Deal of the Decade" will be entered into a raffle drawing to win a gift basket of all sorts of CTMH goodies that I have assembled. Unable to purchase this month but still want a chance to win the gift basket? 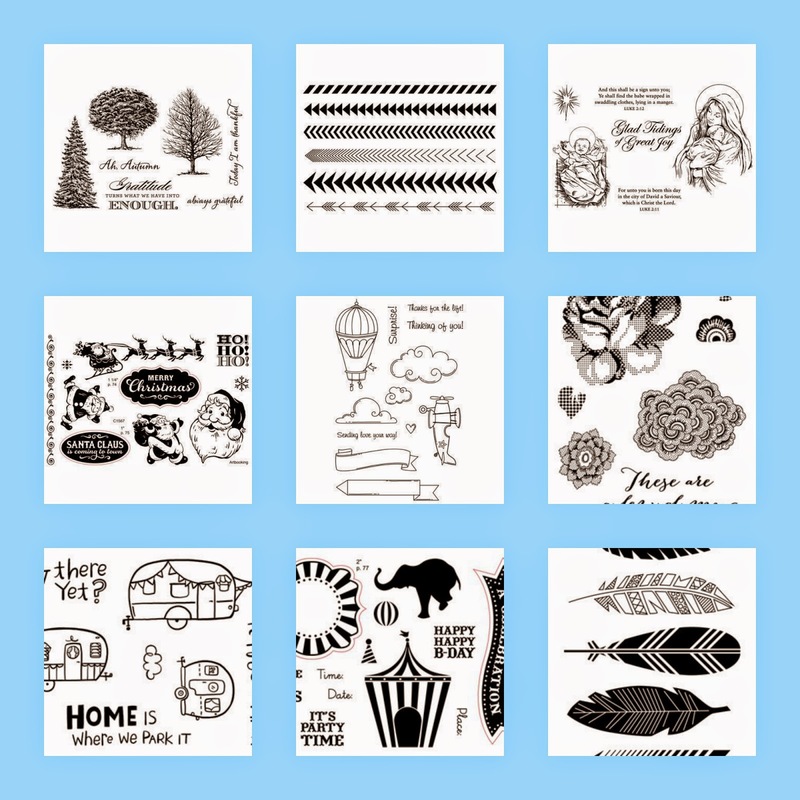 Leave a comment below and you'll automatically get one entry. Simple. Easy peasy. 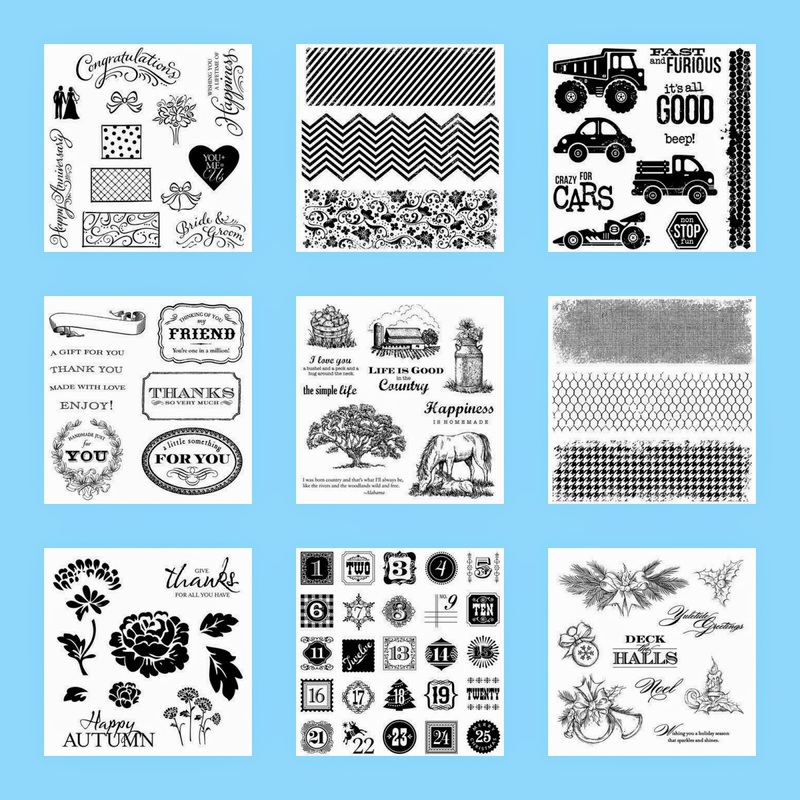 And know I truly do appreciate your reading my blog, and hope that when the time is right for you, you'll shop for Close To My Heart products with me. If I can inspire you, or would like to show you how to make a particular project, let me show you how. THANK YOU again for your support throughout the year. These are awesome deals. Thanks for the chance to win!